0 Ft. Walton Beach Vacation Rentals. Ft. Walton Beach Vacation Rentals by Owner offer a variety of rental villas, condo rentals and vacation homes, all available to you at great value. View and learn more about the Ft. Walton Beach Vacation Rentals that are listed onivacationonline.com. If you are looking to enjoy a day in the sand and surf, head on down to Okaloosa Island and visit the amazing parks located there. Okaloosa Island features miles of beaches and are great for walking trails through the bushy dunes. If you enjoy golf or shopping, you are just a short drive away to Destin and Sandestin. You will have access to several shopping centers and variety of recreation activities. There are also great places to dine at first class restaurants. After a long day of participating into your favorite activity, you can head to back to your vacation rental to relax and enjoy the ocean breeze. Ft. Walton Beach is a fantastic destination to enjoy a vacation with your spouse or the whole family. It is located near several other key places such as Destin and Okaloosa Island, so you can enjoy the ultimate vacation in one trip! 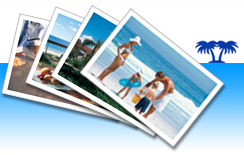 You can book your nextFlorida Vacation Rentalright here at ivacationonline.com with ourvacation rental software.One you have found your unit of choice, you can book it online in a matter of minutes.